So many of you completed some type of a challenge in January – be it the Blogilates Calendar, PIIT28, and/or the 28 Day Reset. YOU are amazing for sticking with the program, doing your best, never quitting and of course for sharing your journey with everyone online. I’m recognizing the POPsters below for their STANDOUT physical and mental transformations! I am so inspired by these women for making their health goals a priority even through the tough times. THIS is NOT easy, but what matters most is fighting through the struggle and coming out stronger. Ready for some major inspiration!? WOW! It’s not just your before and after pics that amaze me. It’s your captions. It’s that you’re FEELING so much better about yourself. You’re confident, your skin is clearer, you’re experiencing less bloating, you have more energy – THAT is the greatest reward. I am so proud of you all! You are motivating ME to be stronger and healthier! 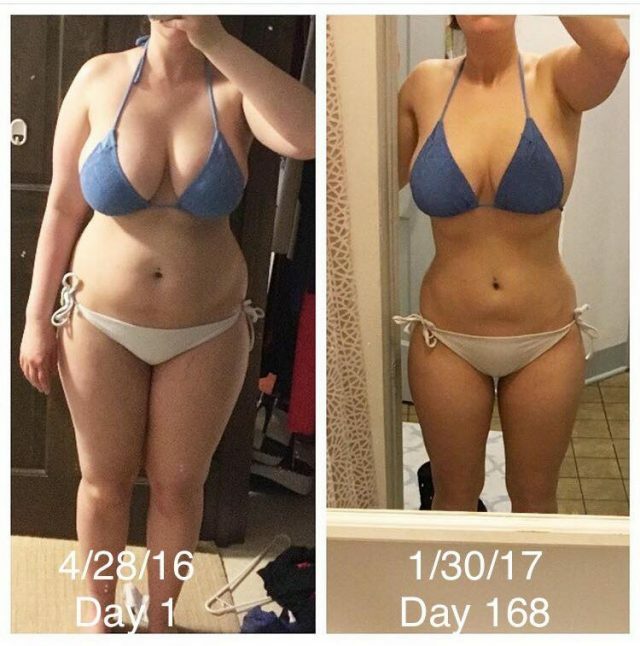 Combining The Blogilates Reset and PIIT28 is the best combination for these results. So what now? Keep going. If you’re unsure what to do after completing The Reset, I have a full blog post HERE explaining it all. Most importantly, continue to be active and eat healthy, it’s all about balance and happiness. I weigh 80.1 kgs (176.59 pounds). I get tired easily and take frequent breaks during Cassey’s videos. I really want to loose 15 kgs/33 pounds before my birthday which is on March. I need some guide to videos will help me reach my goals. P.S- I am not a gym person and like working out alone. Une liposuccion bien réalisée peut sûrement donner ces résultats impressionnants. Je pense que la chirurgie esthétique est seule capable de réaliser ces exploits. I am so inspired looking at all this. I am Neena and the most depressed person on this earth. should I start with something else? I am about 30 to 40 lbs overweight. I haven’t done the full program, butI have done some PIIT videos within the Feb and March calendar. They are good to try. They aren’t easy, but working out with Cassey makes things fun. I believe most of the results come from taking things out of your way of eating and replacing it with more whole foods or a non-dairy, gluten-free substitute. So, consult your doctor. If you have the go-ahead, then try this or her beginner’s calendars and do the reset within your meal plan. You could search for Malova Elena Exercises for obesity in youtube, maybe that could be a good start, see how you feel, and then slowly move on to harder routines :). Amaaaazing transformation.. So impressed on that please check out. You are all so inspiring! Great job!